Washington, DC— With their personal stories demonstrating the power of the arts and humanities to transform lives and communities, 12 young people from across the country will share the stage with First Lady Michelle Obama on Tuesday, November 17, to receive the country’s highest honor for the after-school programs in which they participate. The National Arts and Humanities Youth Program Award recognizes the country’s best creative youth development programs for increasing academic achievement, graduation rates and college enrollment by engaging children and youth in the arts and humanities. Chosen from a pool of more than 285 nominations and 50 finalists from 50 states—the after-school and out-of-school-time programs will also be recognized for improving literacy and language abilities, communication and performance skills, and cultural awareness. 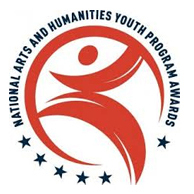 First presented in 1998, the National Arts and Humanities Youth Program Award is the signature program of the President’s Committee on the Arts and the Humanities (PCAH). The awards are presented annually in partnership with the National Endowment for the Arts (NEA), the National Endowment for the Humanities (NEH) and the Institute of Museum and Library Services (IMLS). A youth orchestra program that engages 1,000 students each year, teaching them life skills through the pursuit of artistic excellence (Milwaukee Youth Symphony Orchestra Community Partnership Programs, Milwaukee Youth Symphony Orchestra, Inc., Milwaukee, Wis.). A program that promotes 21st century skills in teens living in at-risk communities through visual and media arts education, experiences and mentorship (Art High, Armory Center for the Arts, Pasadena, Calif.). A media arts and education program that mentors young people in digital arts to help them find their voice, tell their stories and be empowered to affect positive change in their lives, their communities and the world (Spy Hop Productions, Salt Lake City, Utah). A program that teaches vocational skills to high school students with intellectual and developmental disabilities through making, marketing and selling artwork (Urban Artisans, ArtMix, Inc., Indianapolis, Ind.). A mentoring program that sees 90 percent of its participants successfully graduate from high school by providing students as early as 6th grade with a seven-year commitment that translates to hundreds of hours of arts mentoring throughout the school year and attendance at an annual summer arts and nature camp (Youth Mentoring Program, Caldera, Portland, Ore.). A training and outreach program that helps youth develop leadership and critical thinking skills, as well as empowering them to share their talents, by training them to serve as docents at the local museum (Summer Teen Docent Program, Ogden Museum of Southern Art, Inc., New Orleans, La.). An outreach program designed to provide successful visual arts and science experiences—and a safe forum for self-expression and imagination—for youth in at-risk communities (Action Arts and Science Program, Washington Pavilion of Arts and Science, Sioux Falls, S.D.). A 20-year-old dance nonprofit that has reached tens of thousands of students ages 8 – 18 with free community education programs, summer camps and in-school workshops, helping them acquire skills to succeed in school and in life (CityDance DREAM Program, CityDance Inc., Washington, D.C.). An after-school program that uses experiential learning, research and collaborative design to help high school students explore fundamental questions about how their city works (Urban Investigations, The Center for Urban Pedagogy, Inc., Brooklyn, N.Y.). A free, year-round, after-school literary arts and literacy program for teen refugee and immigrant, English-language learners (Young Writers & Leaders, The Telling Room, Portland, Maine). Tuesday’s East Room ceremony will include remarks by André Massey from Deep Center, Inc. (Savannah, Ga.), a 14-year-old student who will recount his own personal journey of discovery through poetry. Also, 12 students ages 14 – 18 from Rosie’s Theater Kids (New York City), another of the awardees, will perform a medley of songs written by alumni of New York Public Schools, ranging from George and Ira Gershwin to Paul Simon and Alicia Keys. The International Spotlight Award will be presented to the Organization for Youth Empowerment (OYE) in Yoro, Honduras. Founded in 2005, OYE works to help break the cycle of poverty by engaging and building youth leaders through merit-based high school scholarships, capacity building and leadership workshops, and community engagement initiatives in the arts and sports. The corporate sponsor for this year’s awards program is the NAMM Foundation, which advances active participation in music making across the lifespan by supporting scientific research, philanthropic giving and public service programs. A supporting organization of the National Association of Music Merchants (NAMM), the NAMM Foundation is funded by NAMM members through trade association activities and private donations. In addition to their recognition at the White House, each of the 12 community-based programs will receive $10,000 and a year of communications and capacity-building support from the President’s Committee on the Arts and the Humanities. For more information about the National Arts and Humanities Youth Program Awards, visit www.pcah.gov. The National Arts and Humanities Youth Program Award is the nation’s highest honor for after-school arts and humanities programs. The awards recognize and support outstanding programs that lay new pathways to creativity, expression and achievement outside of the regular school day. These programs excite and engage a range of students, cultivating imagination, collaboration, discipline and academic success, with demonstrable results. They also provide safe harbors after school, weekends and evenings for children and youth in some of our country’s most at-risk urban and rural settings. 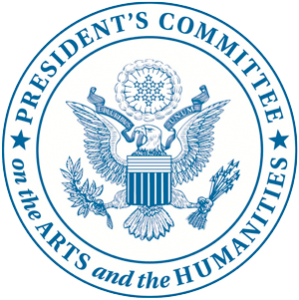 Created in 1982 by Executive Order, the President’s Committee on the Arts and the Humanities (PCAH) is an advisory committee to the White House on cultural issues. The PCAH works directly with the Administration and the three primary cultural agencies—National Endowment for the Arts (NEA), National Endowment for the Humanities (NEH) and the Institute of Museum and Library Services (IMLS)—as well as other federal partners and the private sector, to address policy questions in the arts and humanities, to initiate and support key programs in those disciplines, and to recognize excellence in the field. Its core areas of focus are arts and humanities education, cultural exchange and community revitalization. Mrs. Michelle Obama, like other first ladies before her, serves as honorary chairman of the committee, which is composed of both private and public members. For more information, visit: www.pcah.gov.